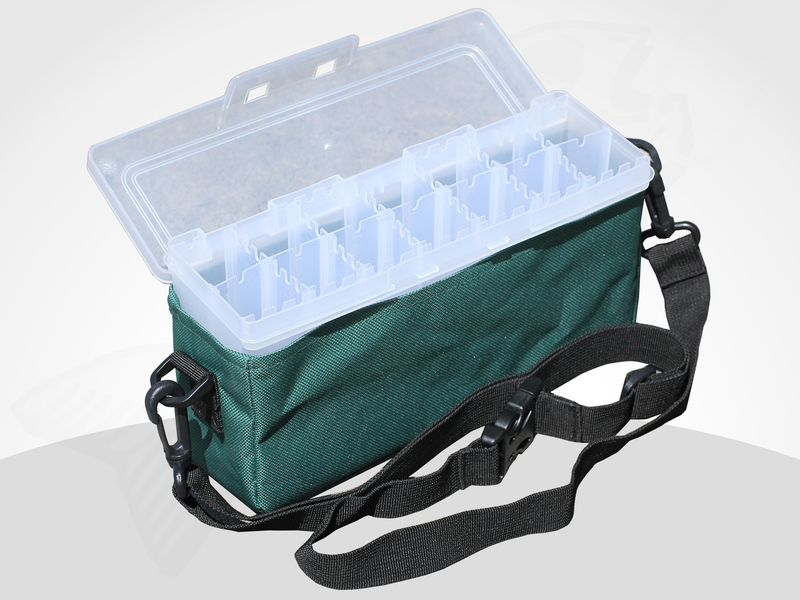 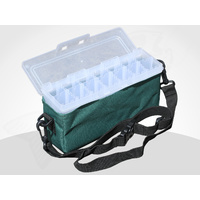 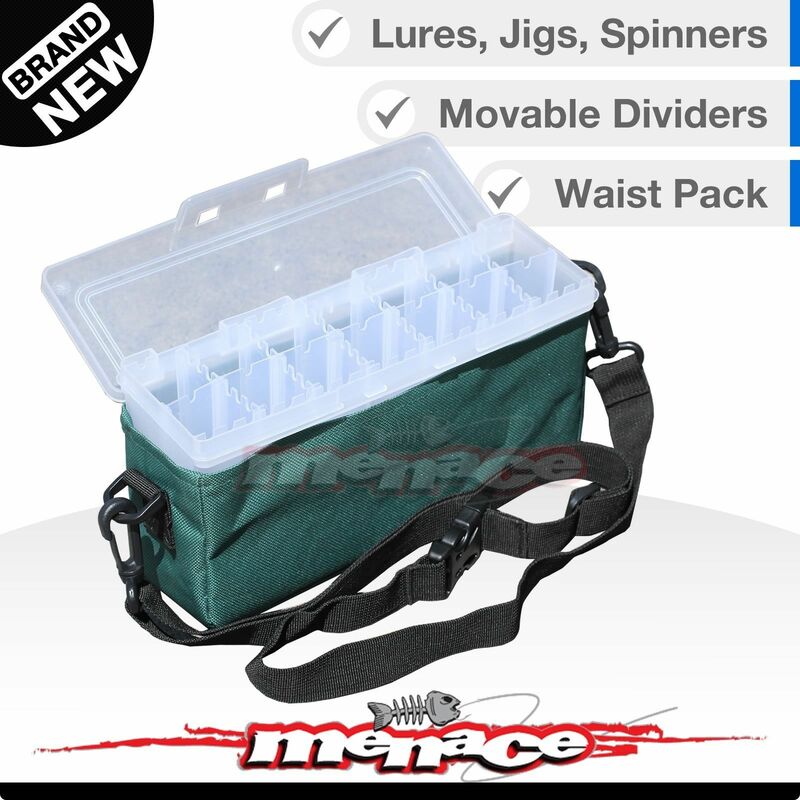 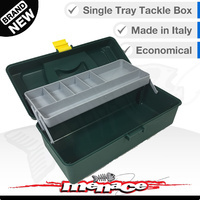 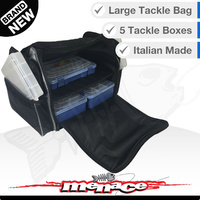 This tackle box is designed for spinners and includes a shoulder/waist strap for easy transportation and use. 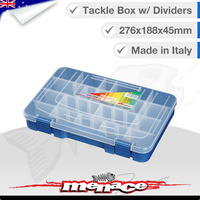 The box is a Panaro #190 spinner box and is Made in Italy. 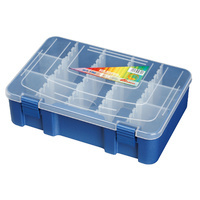 The dividers are movable and can be completely removed or changed around. 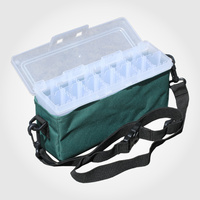 Top quality product durable and robust! 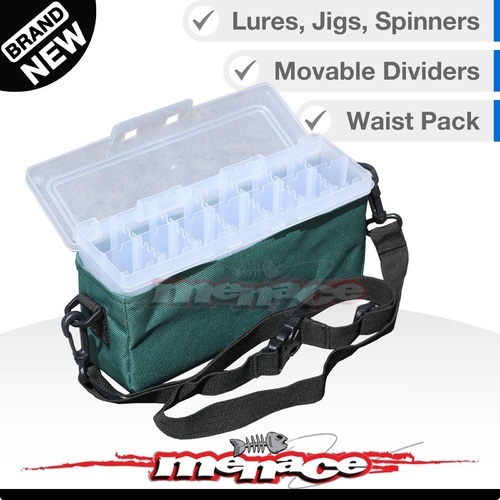 Perfect size for walking the banks casting spinners all day.